Findmeaconference Team share Christmas party planning tips! The office Christmas party season is approaching so what should organisers be thinking about when planning the company’s end of year festive celebrations? One thing to consider is the time it takes to organise. From confirming the date to finding the venue and organising menus, travel and overnight accommodation, it all takes up so much time. Suddenly you can find yourself in the role of chief party planner instead of chief of staff! If you have been responsible for organising the Christmas party you know exactly what we mean! The demands are huge and you’re left with little time for your own work. The Findmeaconference team have almost three decades of experience in venue finding, sourcing the perfect place for a corporate Christmas party and importantly, managing budgets. They’ve created a guide to planning your company or office Christmas party which we’re sharing below. If the thought of planning for Christmas is too daunting, don’t forget our team will happily do the groundwork for you! The great news is that their expertise is completely free so you will not need to worry about an additional stretch on any budgets! It sounds simple but before you can even start to think about the type of Christmas Party that is right for your company, you need to have a rough idea of the number of people who will attend. Are you inviting partners or is the office Christmas party for employees only? You don’t need to know the exact number of attendees because you will give people a date to confirm their acceptance nearer the time. 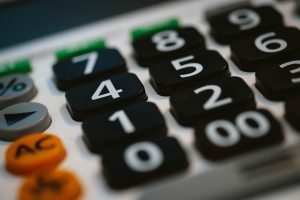 However, a rough estimate to see if your company can be accommodated will be needed. A small country hotel will not have the same capacity as a city centre hotel or a nightclub. You do need to know your budget though! There is a wide range of corporate Christmas party packages. You may feel the amount of money to spend per head is small. There’s an answer! There will be a corporate rate for a shared party which is a cost effective way to have a company Christmas party. 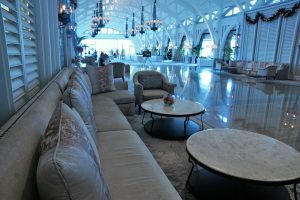 Some hotels and venues for hire offer exclusive use which may cost more. For example, you may be charged to hire the room on an hourly basis. Additional charges for a hot or cold buffet or a sit down Christmas meal will be applied. On top of this there will be costs for DJs and entertainers and you may even have to pay for table top decorations and party bags. There are other considerations to factor into your budget and the team cover these in the points below. The exciting bit! And if you’re not sure where to start, the Findmeaconference website lists over 10,000 UK venues so there’s a top tip on where to go! You may decide to search by a location or you can search by a venue type. You could surprise your colleagues with a Christmas Party in Manchester City Football Club or maybe a stately mansion in the country is on the agenda. London museums are renowned for providing stunning festive backdrops and London has lots of quirky venues and nightclubs which host private and shared parties in the capital city. Would a party in a city hotel tick the box for your team? With excellent transport links, places such as Liverpool, Manchester and Birmingham are exciting cities for Christmas parties. Colleagues can add in some Christmas shopping time too if your company party is going to include overnight accommodation in the hotel! At this point it’s a good idea to decide on the dress codes. You’ve chosen your Christmas party venue or hotel and they may have a themed Christmas party which stipulates black tie and evening dress. Perhaps the theme is a Winter Wonderland with everyone wearing white. 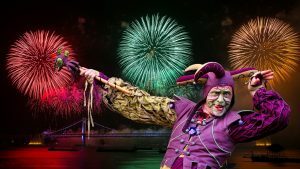 Other popular themes are The Night before Christmas, Santa’s Workshop, an Alpine or Masquerade Ball, the Christmas Jumper Party and the Christmas Movie Party. If you have an informal dress code it’s a good idea to check with your hotel or Christmas party venue. You wouldn’t want guests to be refused entry if they choose to wear jeans and trainers! Don’t leave it to the night! It may be the season of the Christmas office party but the welfare of your colleagues is important. You want everyone to have a fantastic party and remember it for all the right reasons. Will your company lay on coaches to pick up and drop off party revellers? 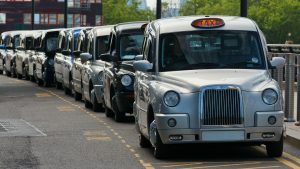 It could be cost effective for your team to make their own way to the venue and the company pays a contribution or all of the cost for overnight accommodation. If you decide neither of these options are appropriate it could have a knock-on effect. For example, if there is a free bar at your chosen party venue. A bonus of choosing a city hotel for a shared Christmas party where other companies and organisations attend is that the entertainment will already be organised. This will probably be a DJ playing Christmas number ones, Motown, pop and dance music. Hotels can organise a cabaret act to entertain guests after dinner. Enjoy entertainment with magicians working the room to astound people with their magic! Look out for Secret Waiters who burst into Christmas hits when serving dinner too! 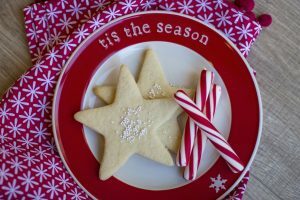 If you decide not to join a Christmas shared party, the team at your chosen venue will help you. They can recommend the services of DJs, bands and entertainers who they regularly work with. For a corporate celebration with a large budget you could engage a famous celebrity for an after-dinner talk. At a shared Christmas party guests are served a three course Christmas menu with turkey and mince pies. There will always be a vegetarian option which at Christmas time is a nut roast! Some hotels will arrange for a cold or hot buffet instead of a Christmas dinner. For private or exclusive hire of a venue or hotel, the executive chef will be happy to work with you. They will create a menu using local, seasonal produce or make recommendations using their own experience. The chef will have lots of knowledge in creating party menus or fine dining evenings. The venue is confirmed, the theme is arranged, the dress code is agreed! There’s a tick for transport and overnight accommodation. You’re ready to send the invitations! If you’ve decided on a theme for your Christmas party it’s a good idea to include the theme on invitations. Don’t forget to give your guests a date to reply by. You should ask if they have any special dietary requirements too. This is so you can let the venue know when you confirm the final numbers with them. 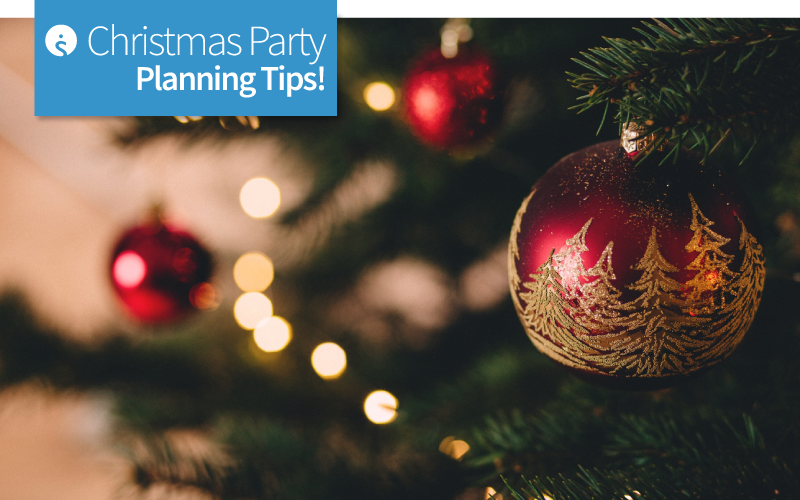 You wont need to make plans for table decorations and party bags if you are joining a shared Christmas party. Hotels in London, Birmingham, Manchester, Liverpool and every UK city will have Christmas crackers on the tables! Everyone likes to groan at traditional jokes inside a cracker! A good supply of party poppers will be available too. A selfie photo frame is always great fun and more party planners are using them with a company’s branding. You can organise for your own table decorations. 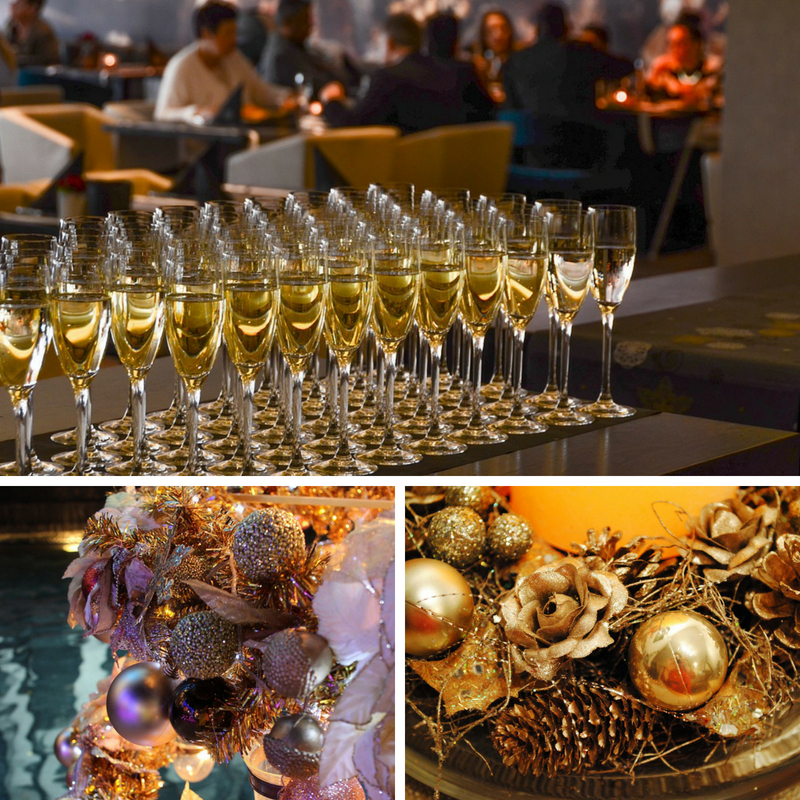 Work with the event manager or party planner at your chosen hotel or venue for your private Christmas party. 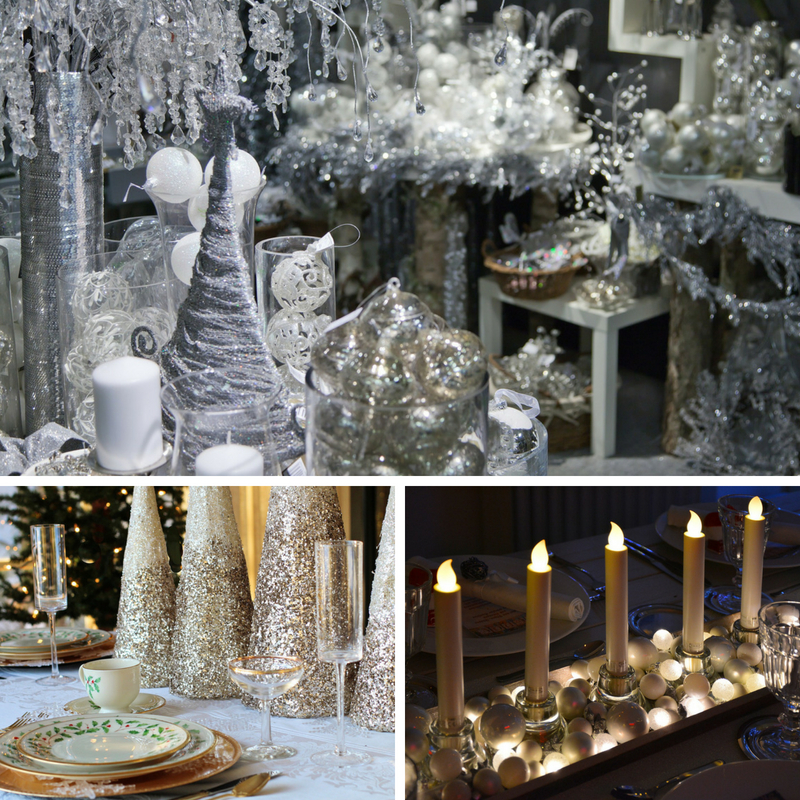 If you have decided to have a theme such as a Winter Wonderland, table decorations can follow this theme. Include fake snow and baubles, silver tinsel and Christmas confetti. Large centrepieces on tables and decorations which reflect the party lighting in the room are always effective. It’s time for you and the hotel to get really creative! Don’t forget if this all sounds too daunting, our team love planning for Christmas! They will be as happy as Santa’s elves if you decide to let them source your Christmas party venue! You can contact them on 01775 843411 between 8.30am and 5.30pm, Monday to Friday or head over to the Findmeaconference website and start your own free venue search now! Previous Post:Say cheers to the success of The House of Daniel Thwaites!